Interested in working with us? We will deliver your parts on time and made to the strictest quality controls. Our Ohio CNC machine shop specializes in close tolerance, short run, and production run orders. Our commitment to our customers is unparalleled. Krausher Machining Inc. is a contract manufacturer specializing in the precision machining of component parts. What sets us apart is our unwavering commitment to our customers who have come to depend on us for the high quality and service we consistently deliver. 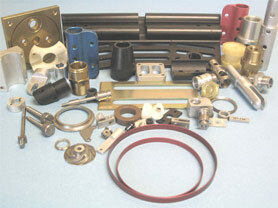 Krausher Machining Inc. is a precision, CNC machining company established in 1976. Located in Ohio just 30 miles west of Cleveland, we have built a loyal customer base by providing quality parts, delivered on time, and at a competitive price. © 2011 Krausher Machining, Inc.